Home / Brain Hacks / STILL GIVING YOURSELF A HARD TIME? STILL GIVING YOURSELF A HARD TIME? 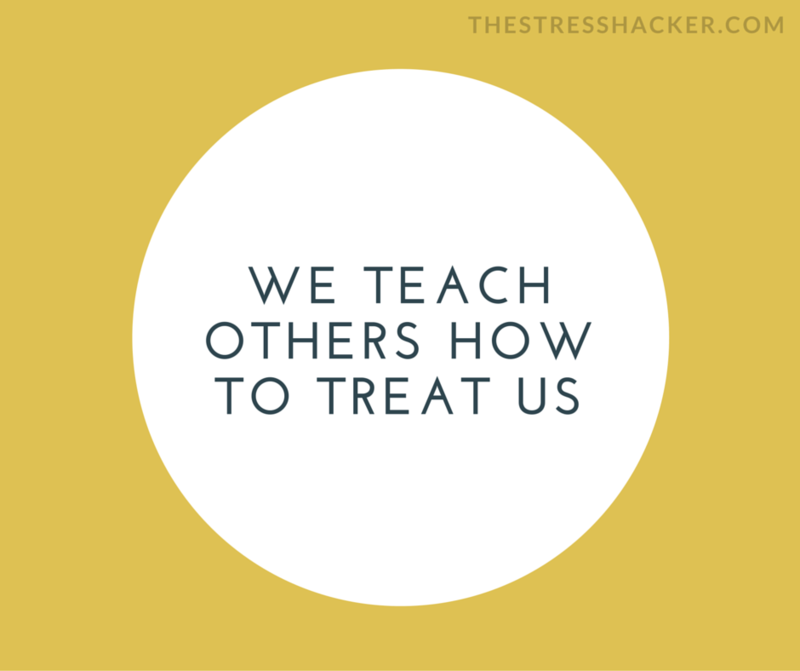 I’ve been enjoying the privilege of teaching self-care to a group of hard working conscientious, caring people this week and it’s put me in mind of one of my favourite sayings. 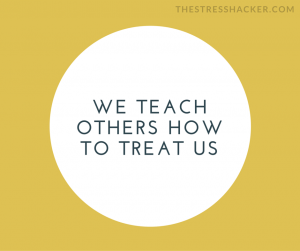 ‘We teach others how to treat us’ it’s true isn’t it. At a subtle energetic level we constantly absorb and convey information to and from people around us. Unconsciously we tell people a lot about ourselves from the way we dress, to our non-verbal cues such as body language, facial expressions and tonality. What is it that you would like others to give you or do for you? Do you ever give that to yourself? Years ago I read a popular magazine that suggested …‘run yourself a bubble bath, pour yourself a glass of champagne and relax’ and I thought ” Yeah, right, who does that”! Well eventually I did. I loved it! It was a treat and I still remember the first time I did that for me. I also remember when I lived alone training myself to cook a nice dinner for me, I had to teach myself to lay the table just for me. Do you know what? It felt really nice to be looking after myself in such a simple yet respectful way. What simple thing could you do for yourself that would make you feel valued, worthy and special? Better self-care develops better self-confidence, try asking yourself this question several hundred times a week… ‘Is this kind and loving to myself’? Step back and watch what your mind at play, observe how you treat yourself, you might just be surprised. One of the first precepts in yoga is Ahimsa which means non-violence. Ahimsa offers us a guideline on how to live life, the aim being not to hurt others and not to hurt ourselves. This means physically, emotionally and mentally. How often do you say unkind, spiteful, discouraging things to yourself? STOP IT NOW! You wouldn’t say or do that to a child would you? If you fancy changing your programming try this little exercise. For the next two days, every time you hear yourself say something unpleasant and unsupportive, say 2 nice things to yourself to counter that. Smother your inner bully with love! Ha ha! Have fun with it and let me know how you get on. I know you’re busy so thanks for taking the time to read and please pass it on to anyone who you think it might help. Previous post: What Keeps You Awake?